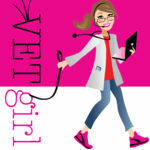 Thanks to Dr. Janet Olson, DACVIM (Cardiology) of Veterinary Cardiology Specialists in Minneapolis, MN for this great VETgirl guest blog! Here, she discusses the appropriate and inappropriate uses of furosemide, the diuretic (commonly called Lasix in North America). 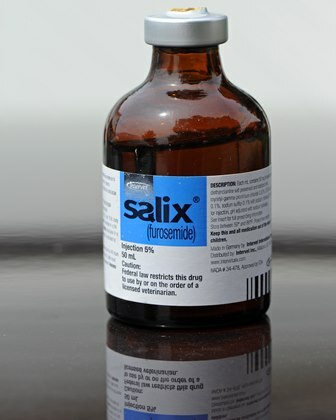 Furosemide is the most common medication used in dogs with confirmed heart failure. It is also, unfortunately commonly misused. Here are some general “DOs and DONʼTs” for Furosemide use. 1) Prior to prescribing furosemide, a renal panel with electrolytes and a urine specific gravity should always be performed. This is necessary to establish a baseline for which to assess renal function and tolerance and response to therapy. 2) Any time the furosemide dose is increased, a renal panel with electrolytes should be performed. This is indicated to ensure continued tolerance to the medication. 3) When performing a furosemide trial, a dose of 2 mg/kg of furosemide PO BID is recommended. If you use too low of a dose and they donʼt respond, you wonʼt know if they didnʼt respond because they werenʼt actually in heart failure, or if your dose was just too low. 1) Donʼt start a dog on furosemide just because the NTproBNP level is elevated, even if they are coughing or having respiratory distress. Causes other than left sided heart failure can cause elevated NTproBNP levels such as pulmonary hypertension. Moreover, false positives can occur. For example, I have also seen dogs with laryngeal paralysis have elevated NTproBNP levels. Therefore, it is necessary to take thoracic radiographs to confirm the presence of pulmonary edema prior to starting furosemide. If left sided heart failure is equivocal based on the radiographs, a furosemide trial is indicated. 2) Donʼt start a dog on furosemide just because it has a heart murmur and respiratory signs such as coughing or labored breathing. Many dogs have heart murmurs (particularly middle aged to older small breed dogs with chronic degenerative valve disease), but a heart murmur and cough or labored breathing does not equal heart failure. Dogs with CDVD can have concurrent pulmonary disease which may be the cause of their clinical signs, rather than heart failure. Thoracic radiographs are a must as you donʼt want to use furosemide if it is not indicated. Plus, you want to give the owner an accurate diagnosis so appropriate decisions can be made. 3) Donʼt base your furosemide trial on improvement of clinical signs alone. Turns out furosemide also has some bronchodilator effects. Thus, a dogʼs respiratory signs may improve with the use of furosemide, even if they are not in heart failure. In addition, there is the owner placebo effect. You donʼt want to put your patient on life long furosemide if it is not (or not yet) indicated. So, follow-up radiographs 5 to 7 days after starting the therapy is necessary to look for an objective radiographic improvement. 4) Donʼt taper down and then discontinue the use of furosemide once your patient starts breathing comfortably. Once a dog is in heart failure, he/she will always need furosemide therapy. 2 mg/kg PO BID is generally a good maintenance dose. If you taper the dose down below this dose he/she will most likely go back into heart failure. This adds additional stress to the patient and owner, added visits to the hospital, and may even result in a choice for euthanasia. So as long his/her kidneys are tolerating this baseline dose, dropping below that is not necessary. d) They may not actually be getting their medication. A renal panel is typically telling as dogs on high doses of furosemide should have at least some degree of azotemia. If they do not, they either arenʼt getting it, or they arenʼt metabolizing it. Copyright, Dr. Janet Olson, Veterinary Cardiology Specialists, 2017. My 16 year old Shitzu has Congestive Heart Failure. he was prescribes the following: 1.25 mg VETMEDIN x 2 times daily; 20 mg FUROSEMIDE 20 mg x twice daily for 3 days, then 1 daily; BAYTRIL 15 mg x twice daily for 7 days. Dog refuses to eat so we are giving him FISH OIL in liquid form. Desperate for help. Thanks. I’m sorry – we don’t address medical queries directly from pet owners – please contact your veterinarian or consult with a veterinary cardiologist. You can find the closest one to you on ACVIM.com. I have an older chihuahua that was put on vertmedin & furosemide . He wouldn’t eat and was out of it on the vetmedin, so I took him off everything. His problem is breathing related, poor lungs. He began his coughing & wheezing again later , but I just put him on the furosemide and coughinng clears right away, he just pees a lot! And I don’t continue the dose , going to call vet today and see if that’s ok! My dog is small and so only give him half or quarter 20mg tablet. As a vet student, I really appreciate this over-view of Do’s and Don’t’s of Lasix. It is very practical and goes over details that get missed in our curriculum. I buy it in liquid form at CVS. Very inexpensive. I really appreciate your article more than you can imagine. I live in a very very rural area, and the local vets are doing what they know, but honestly, if it weren’t for my own knowledge as a cardiac intensive care nurse, my dog would have been gone over 2 years ago (just like my dogs vet told me he would be)…. He in fact encouraged euthenazia 2 years ago saying I was going to be forcing my dog to suffer. Not only did he not suffer, but he has thrived, even though I’ve had to see him through some tough times. Never in a million years did I even think there would be a vet cardiologist. If only I could get him to an office that specializes in this. Right now, my finances are so limited, so I can only do what I know to do. As soon as feasible, I want to get him somewhere. Keeping in mind that this is a larger breed dog, and he is approximately 10, I realize his lifespan is probably over the average anyway, but I love my dog and just don’t want to see him go 🙁 Anyway, I am looking at having to increase Lasix (he’s gettting it by mouth), and fortunately, I just had him at the vet 2 days ago where labs were drawn, so I know what his numbers are like, (and amazingly, they are good)… so I am going to try what you recommended. (He is short of breath while lying down, and is very uncomfortable, most likely due to the increase in abdominal fluid that has accumulated over the past 2 weeks, that he can’t seem to shake. I truly believe there is something new going on with his heart that needs to be addressed…… If only I had access to an EKG machine or an echo cardiogram.. to see what was really going on. I think the closest vet to me would be Dallas, and that’s an all day road trip. I am doing what I can. 🙁 Thank you again!!!!!!!!!!!!! I think his labs may be good (as he’s been on a high dose of lasix, enalapril and digoxin for 2 years now…. is that I’ve been using some herb extracts known to help protect the kidneys and liver for about a year. I am hoping that has actually helped. But… I don’t really have anything to compare it to. Anyway, thanks again! And Cowboy thanks you! It’s really difficult to get accurate info these days! And this is exactly what I needed to know! This has been very helpful. My Doberman was diagnosed Friday (3/9/18) with DCM. She is on Furosemid 40 mg tid, Pimbendan and enalapril. When you hear that even with meds the prognosis is bleak, it is difficult to hear anything else. Your article gave me something to refer to in terms of the medication side. A question that I have that I can’t seem to find is how much water is enough water?? I do remember hearing drink lots pee lots and kidney failure from not enough water so now I am a bit stressed about How much is “lots” and “enough” in ounces!!! When in doubt, check with your vet but I never recommend water restricting them. Just let your dog out more frequently, ideally! Good luck! Very good, thank you. My 10yr old bull mastiff has CHF. Wanted to lower Furosemide, but this was a good explanation of why we shouldn’t as long as renal panel isn’t terrible. Sadie responded to furosemide, Vetmedin, and Enalapril immediately so we are cautiously optimistic that she will get some additional time with us. She was diagnosed with lymphoma in June 2014 and went into a long-term remission after CHOP, so we are already blessed to have her this long. She has been a wonderful, but expensive dog. TPLO on both knees and lifelong carprofen (semi-annual or at least annual renal panels) for arthritis. Luckily, we purchased pet insurance for her as a puppy, I will never own another dog without pet insurance!!! Like Susann, we have a 12 year old Chi that started having seizures after starting Lasix. The doctor can’t explain it and swears it’s not the medication, but it never happened until we started the Lasix. Luckily, we see the Cardiologist in a week. Talk about something out of the blue that freaks a person out! My little girl can’t handle it. Awww your poor chi. My 15 yr old chi is on hysrochlorothiazude along with the lasix and spiironlactone. But I have to supplement the potassium because he loses alot from.the diuretics. You might want to check that in the bloodwork. I hope you have a wonderful cardiologist..i.love mine:) good luck to you and your furbaby. Yes, based off the EPIC study recently released, Vetmedin definitely has been found to show benefit! Since furosemide is a loop diuretic, is potassium supplement necessary? Appreciate any feedback. Is vetmedin and lasix enough for CHF or should an ACE inhibitor be used in conjunction with the hw other two meds?